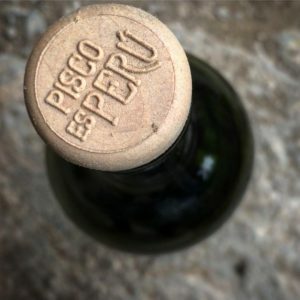 Piscologia | Is Pisco Peruvian or Chilean? Is pisco Peruvian, Chilean, or both? What are the differences between Peruvian and Chilean pisco? Who controls the Denomination of Origin for pisco? Learn more about the ongoing debate surrounding pisco in this blog post. Is Pisco Peruvian or Chilean? Is Pisco Peruvian or Chilean? This question is the subject of an ongoing debate between Peru and Chile. Based on historical and etymological evidence that the first pisco was produced in Peru and because of Peru’s rich history of pisco production, we believe pisco is essentially Peruvian. Peruvian pisco is single-distilled to proof and nothing is added, not even water. Chilean pisco is distilled more than once and then watered down to a desired proof. Peruvian pisco is aged in neutral casks and is therefore clear, while Chilean pisco is caramel colored because it’s aged in barrels. Peruvian pisco is made from one or a blend of the 8 pisco-grapes grown on the coast of Peru in any of 5 the pisco-producing departments of the country. Chilean pisco is typically made from the Muscat grape (but sometimes Torontel or Pedro Jimenez grapes) in either of the country’s two pisco-producing regions, Atacama and Coquimbo. Because of the differences in their distillation methods, their aging processes, and the grapes used, the final products have aromas and flavors that are very distinctive. Peru and Chile have been vying for the exclusive rights to the D.O. for pisco for years. So, what’s the status of the heated conflict now? Last month the Chilean Minister of Agriculture, Antonio Walker, met with Rogers Valencia, the Minister of Culture of Peru. Mr. Walker requested that Peru recognize Chile’s D.O. to avoid clashes between Peruvian and Chilean pisco in international markets. The Peruvian minister declined. He explained that a denomination of origin cannot be shared outside its designated region because that defeats the purpose of protecting a product within a geographical area. According to the D.O. in Peru, pisco must be produced on the coast of Lima, Ica, Arequipa, Moquegua and Tacna (only in the valleys of Locumba Locumba, Sama and Caplina). Anything produced outside of those areas (for example, in Chile) cannot be considered pisco. Peru has made great strides in protecting its D.O. for pisco. It has exclusive rights to the use the word “pisco” in 30 countries, while it shares rights with Chile in 41 countries. Chilean pisco has exclusive rights to pisco in 4 countries, but that is expected to change, as Peru is in the process of negotiating trade deals in those areas (Melgarejo). In summary, the ongoing conflict over the Denomination of Origin for pisco will most likely continue. At PiscoLogía we are dedicated to educating the consumer about the benefits of Peruvian pisco and following the rules of the D.O. to produce a craft product of unrivaled quality. The responsibility of the D.O. regulators in Peru is to impose the strictest standards from every producer in the country. In the end, the consumers’ demand for high-quality pisco will drive the market, allowing everyone around the world to appreciate the full potential of Peruvian pisco. Melgarejo, Víctor. “Pisco: Perú Alista Otro Triunfo Sobre Chile En La Unión Europea.” Gestion, Gestion, 12 Mar. 2019, gestion.pe/economia/pisco-peru-alista-triunfo-chile-union-europea-261079.